A high efficiency once through boiler is installed at a Golf Ball factory in Cikampek. 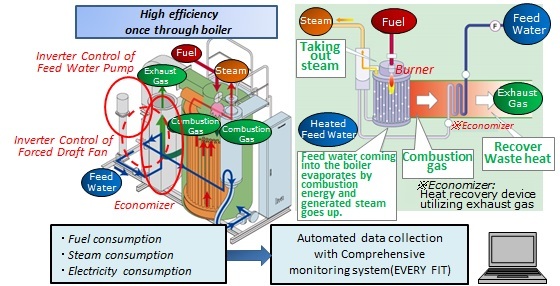 The boiler reduces fuel consumption by incorporating gas single fuel type. Furthermore, electricity consumption is also reduced by inverter function of feedwater pump and forced draft fan.